Weddings can be very hectic as there are several functions before the main event which can leave you exhausted. The last few days often involve running around for last-minute fittings and arrangement but the bride needs to remember that she has to look radiant and fresh on her big day for which she needs to be relaxed. In order to avoid looking dull here are a few practical tips that brides can opt for in the last month before the D-Day. Brides need to look their best on their wedding. Here is a checklist of things they need to do for their beauty. You have decided the dress but have you finalised the right make-up and hairdo to go with it? Don't leave it to the last minute as this can make or break your look. 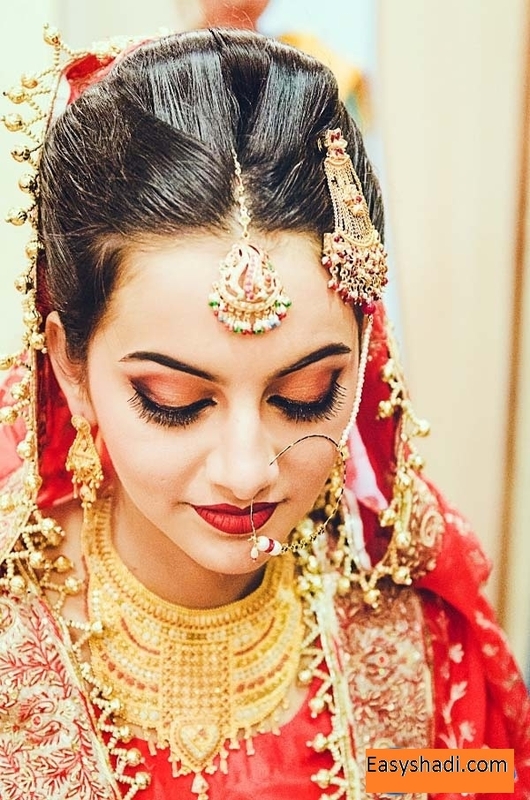 This is exactly why future brides should try out their wedding hairstyle and make-up well ahead of the big day. Stress can start to build up during this period, so there is no better time to take a day off to relax at a spa, alone, as a couple or with friends. Choose treatments that will help you to relax. Take advantage of the excuse to pamper yourself while it lasts, finding time where you can for spa treatments during the busy few days leading up to your wedding. As the bride, you'll be in the spotlight all day long, and you'll want to make sure your skin is flawless for photos. One last detail not to neglect your hands and feet. The bride's nails should match her dress or the colour scheme chosen for the wedding, although a classic French manicure is often the best option. Don't forget that even if your feet are hidden in a pair of bridal slippers, your hands will be the centre of attention, especially during the exchange of the rings. Get a professional mani-pedi one day before the event to make sure they don't get chipped and the effect of the treatment doesn't wear off.